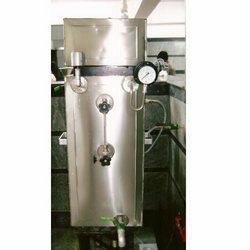 Leading Manufacturer of l.p.g operated / electric operated steam boiler and fire wood boiler from Bengaluru. 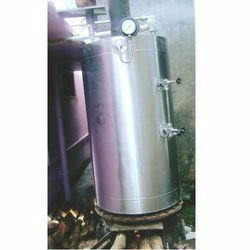 Steam Boiler L.P.G operated / Electric Operatedwhich is manufactured with quality material finds application in various industrial applications. These are compact in size and accurate in functioning. We manufacture them with premium material which has stability and effective in performance. We offer them at competitive prices at international standard. They are highly appreciated for long life and maintenance. We provide a high range of standard quality Fire Wood Boiler which is widely used in various industries for boiling purposes. These boilers are provided as per the specification mentioned by clients. These are easy installed and maintained. We offer them at cost effective prices at international standard. Our products are tested on various aspects to ensure safe in usage. Looking for Steam Cooking Boilers ?